Located in Montréal, Quebec, Centre Bell is a popular multi-purpose indoor arena that attracts sports spectators, music fans, and other event-goers from across central Canada. Formerly known as Centre Molson/Molson Centre, Centre Bell is home ice for the iconic Montreal Canadiens NHL team. Centre Bell has a seating capacity of over 21,000, making it the biggest ice hockey venue in the world today! Don't miss your chance to see an exciting live event at this iconic venue! Hockey, Music, and Much More! Ever since it first opened its doors in 1996, Centre Bell has hosted a steady stream of popular sports events, best-selling international musical artists, and many other major events. Montréal’s Centre Bell has become an essential tour stop for all of the world’s biggest performers. 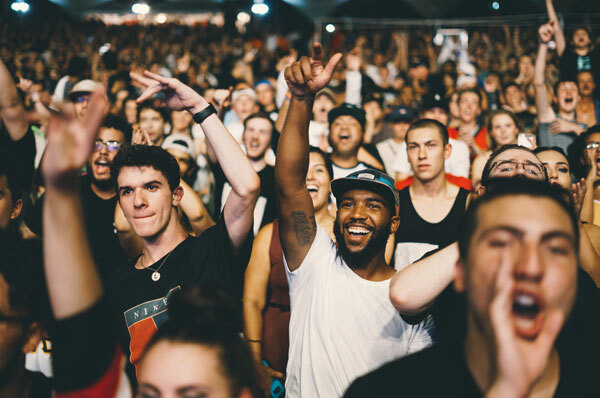 Events at Centre Bell are always well-attended, so be sure to shop early for all your favourite concert tickets, sports game tickets, and other Centre Bell tickets at VIPTicketsCanada.ca. VIP Tickets Canada is your best source for Centre Bell tickets, no matter what event you are interested in! To browse upcoming events at Centre Bell, view the complete Centre Bell event schedule above! When you find an event that catches your eye, click the “Tickets” button to view the complete selection of available seats and purchase the Centre Bell tickets you like best! You can also efficiently search Centre Bell tickets by band, artist, team, or event name using the search bar at the top of each page on www.VIPTicketsCanada.ca. Centre Bell is probably best known and loved for its role as home ice for the Montréal Canadiens National Hockey League (NHL) hockey team. The Montréal Canadiens were founded in 1909 and are the longest-running professional ice hockey team in the world. One of the “Original Six” NHL teams and the winningest Stanley Cup champions in the league, the Canadiens have established a large and passionate fan following. Consequently, tickets for Montréal Canadiens games are always in high demand. In addition to NHL hockey, Centre Bell is the go-to venue for other major sporting events. For example, Centre Bell hosted the Hockey World Cup in 1996 and 2004, as well as several recent NBA basketball preseason games. In 2008, the arena became the first Canadian venue to host a UFC event (the event sold out in less than one minute and broke attendance records). Many subsequent UFC events have been held at Centre Bell in recent years. In addition to exciting sports events, Centre Bell is Montréal’s primary venue for all the biggest concert tours and other major productions, for which it is well-suited. The arena is furnished with sophisticated amenities, a unique scoreboard, and a state-of-the-art sound system. Recent and upcoming major musical artists hosted by Centre Bell include Shawn Mendes, Lady Gaga, Arcade Fire, Roger Waters, Jay-Z, and more! Don’t miss out on upcoming concerts like these at Centre Bell! Search VIP Tickets Canada’s extraordinary Centre Bell ticket selection for top pop/rock, rap/hip hop, and country shows and more today! VIP Tickets Canada is your ticket to all of Montréal’s biggest events, with a variety of sold-out Centre Bell tickets, Centre Bell VIP tickets packages, and other tickets of all varieties available for most events. Many Centre Bell tickets at www.VIPTicketsCanada.ca are also available at discount prices! The VIP Tickets Canada platform allows you to easily view and compare guaranteed authentic Centre Bell tickets online before making your secure and legitimate purchase. Centre Bell is going to be jam-packed this year for several of its upcoming events. Don't wait - select tickets to your preferred Centre Bell events today with VIP Tickets Canada!